The real magic happens when burrata is sliced open and the creamy insides spill out. It makes a nice topping on a salad, wonderful spread on a slice of toasted bread or a refreshing side dip. 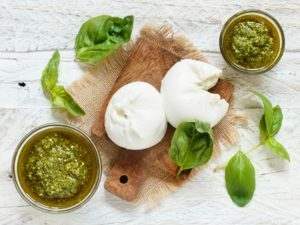 Burrata Pesto is the perfect additional to your dinner party, your guests will never forget the divine freshness you have introduced into their world. For this recipe, you'll need: a vegetable steamer, mixing bowl and your favourite serving dish/platter. Pairing Suggestion: Enjoy this perfectly harmonious Italian dish with friends and a glass dry white wine. We recommend Gewürztraminer. • Dress up the dish with sliced cherry tomatoes and pistachios. Buratta can also be used fresh in salad recipes, with crusty bread or in other small plates. It is also wonderful to serve on its own or as a spread. 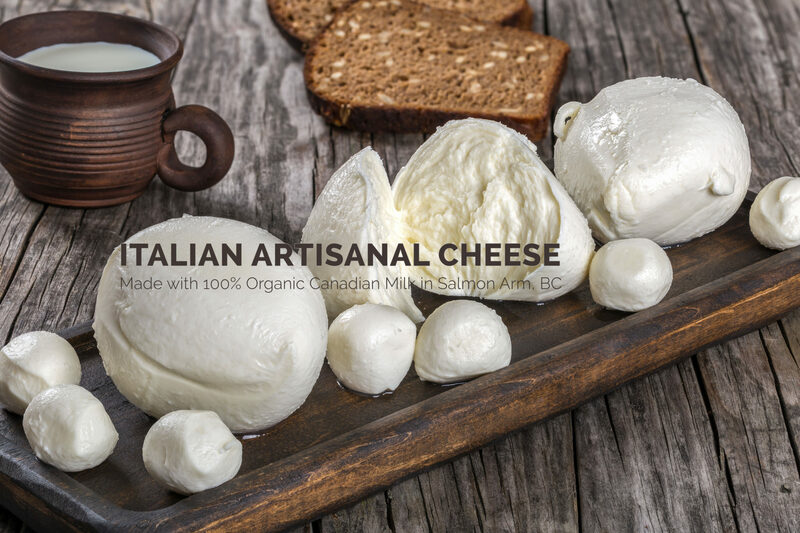 For more information about our Burrata Cheese, visit our store today!